Restoration After Death - The Ugly Truth w/Brooks Rem. There are some messes the average person is just not capable or qualified to clean on their own. Every day tragedy strikes somewhere in the United States. It is not something people who are unaffected by ever actually think about. 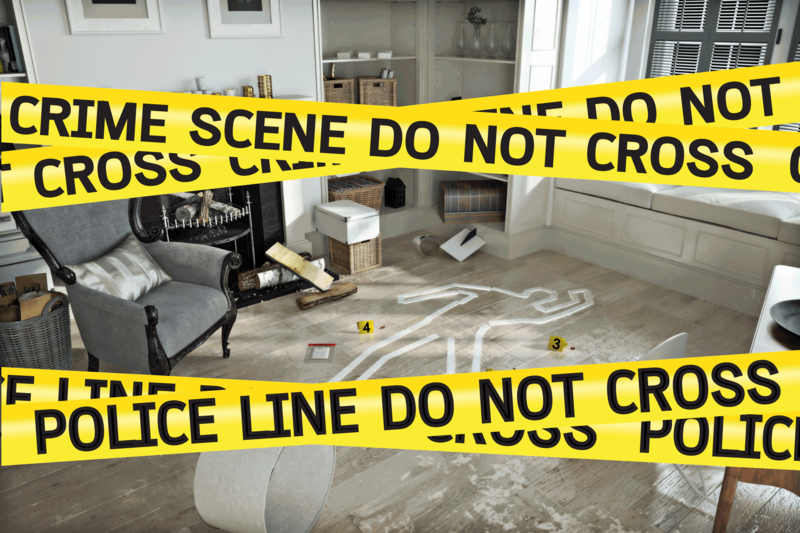 After all, when the news reports someone has committed suicide or been killed by an armed intruder, who really considers the physical mess left behind once the body is removed? Death is messy and when it happens inside a house, it has to be dealt with quickly. At some point, others will want to come home or the house will need to be sold. 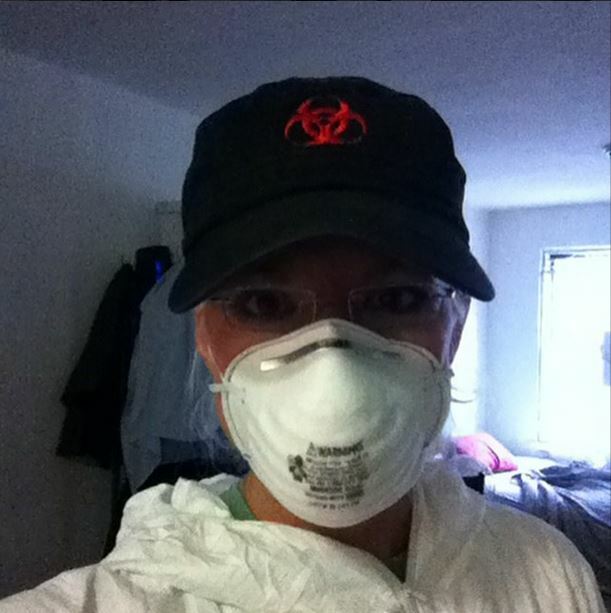 The job often requires the use of biohazard remediation services to put things back to normal again. A crime scene cleanup is not normally a job that can be done with a few rags, bucket and a mop. In many ways they are similar to a suicide cleanup, with the area often protected the same way by the police until they are certain the death was a suicide. There are a lot of biohazards to consider in both of these events. This typically includes blood, often human waste and depending on the method of death, human tissue left behind. These types of fluids have to be handled carefully to ensure there is no contamination and that all of the material is disposed of properly. Often it require removal of furnishing, stripping drywall and removing flooring. Blood and other bodily fluids spread easily, after all, and they all have to be eliminated or they will eventually create an odor that will be impossible to bear. 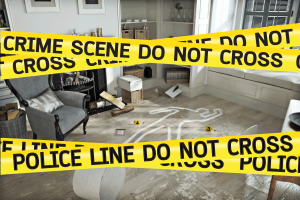 An unattended death cleanup usually occurs when someone who lives alone has passed, but their death goes unnoticed until they have been absent for a while or the scent of their bodies decaying are noticed by someone outside the home. This means the body will already have begun to putrefy and release fluids as a result, often within 36 hours following death. A job of this sort involves clearing out a tremendous amount of fluids, stench and typically insects that have been attracted to the stench. Most cleaning services are not trained for these types of scenarios and will not be able to physically manage the sights and smells that accompany them. In order to make the home safe for those who are currently living there or may live there in the future, a specially trained team will need to be hired. These teams are needed not just for making the home more aesthetically pleasing, but for infectious disease decontamination because there are an endless amount of diseases that can be transmitted to others when these types of incidents occur. 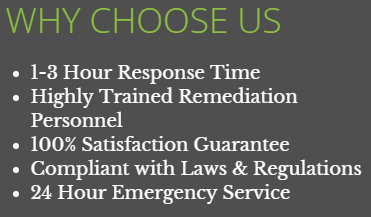 Brooks Remediation is trained to handle all of these graphic scenes and more. Let their professional and empathetic crew help restore your property to where it needs to be to help you move forward from tragedy and grief. If you have questions on the process, what's covered by insurance or if you need our help immediately then please call 1-800-663-2854.